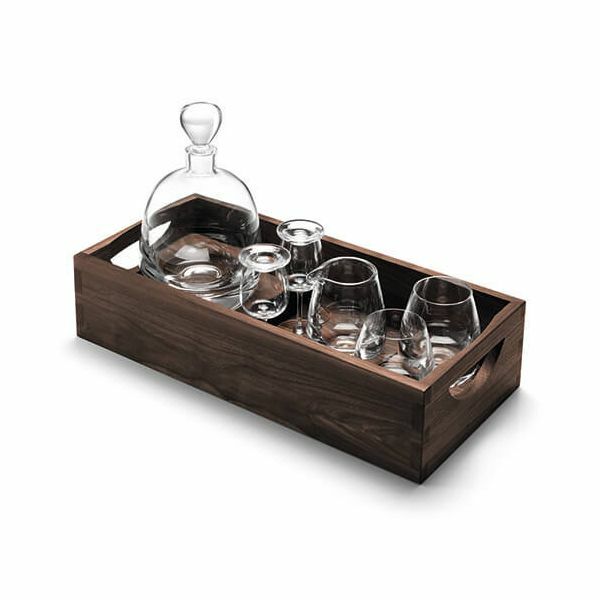 This LSA Whiskey Islay connoisseur set is presented in a solid walnut tray with cut-out handles and contains a mouth blown decanter with a litre capacity and a walnut block coaster and 2 matching tumblers that have a capacity of 250ml. 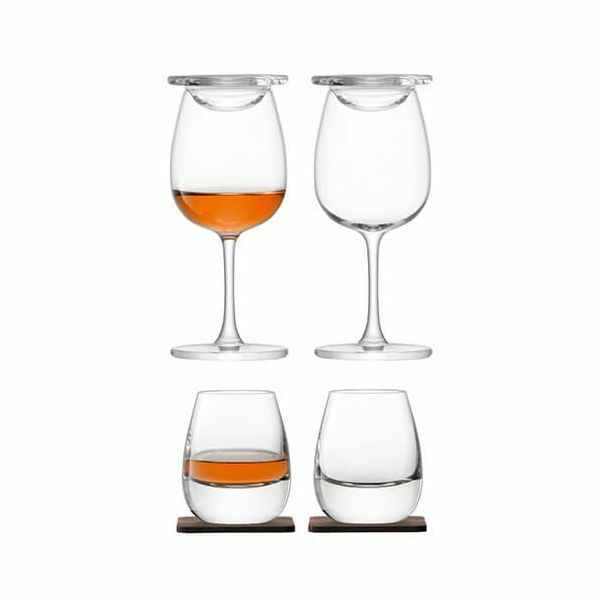 The set also includes 2 nosing liquor glasses with glass covers plus a 300ml water jug complete with a walnut coaster for adding just the correct amount of water to your whisky for tasting. The LSA Whisky Islay connoisseur set is a fantastic gift for a Whisky lover.